Vaping. Is it time for you to stop? So you’ve given up smoking. Now you’re vaping. A lot. You’ve really traded one crappy habit for another, haven’t you? People are now smoking less, and this is a very good thing. It may be that the campaigns against smoking and the incredible price rises of cigarettes have finally encouraged them to stop. Smokers have had a huge assortment of products to assist them stop smoking. There are sprays, gums, lozenges, patches, lollipops and, of course, e-cigarettes. E-cigarettes are basically a container with a battery, a heating element and a reservoir for liquid which is converted to vapour. This vapour is then inhaled by the user. The liquid is usually a solvent (glycerol or propylene glycol), nicotine and some type of flavouring. 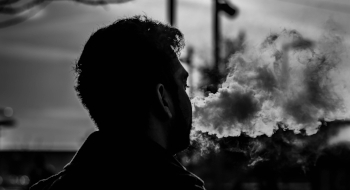 Originally it was thought that smoking was worse than vaping, however the latest research suggests that this is perhaps not the case. It has been suggested that people using e-cigarettes could have a higher risk of cardiovascular problems and cancer. Researchers have also found that toxic metals (chromium, manganese, lead and nickel to name a few) are being released via the heating coils in concentrations above any recommended safety limits. Arsenic has also been found, although to date the researchers have been unable to locate it’s source. If you would like to get rid of that e-cigarette, gain control over this unhealthy habit, and get your lungs back into shape, give me a call today on 0409 254 500 or email me at liz@lizhogon.com so we can organise a time for you to come in. You won’t regret it. And your lungs will love you for it.